You've probably a heard a lot of different things about auto auctions. Some of these rumors are likely accurate, while others are more exaggeration than fact. So what are some truths that you need to know? It certainly helps to be aware of the advantages of an auto auction, and that means you should be keeping these five perks in mind. 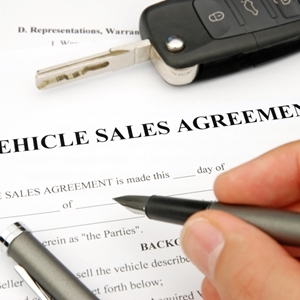 When you buy a car, you usually have to go through long processes and bundles of paperwork. That's not the case at an auto auction. In fact, places like NJ State Auto pride themselves on providing buyers with options that allow them to drive off the lot with their purchase as soon as possible. To help, the financing department even offers same-day credit approval, which gives you some of the monetary assistance you need to finalize a purchase. Many drivers will be drawn to the great value at auto auctions. CarsDirect noted that many sticker prices at auto auctions can't be found anywhere else, and bidding options can allow drivers to save even more. When you only bid what you think a car is worth, you can avoid high prices and take advantage of great deals. Another benefit of these auctions is that they often have a wide range of vehicles for sale. At New Jersey Auto Auction, for example, you can browse the hundreds of Carfax-certified cars, trucks and vans available on the lot. Not only are you able to look through many makes and models, but you can also check out cars from different age ranges. This makes it easy to find the type of car and features you want, all while staying within a budget. Auto auctions often allow you to act much more quickly than traditional dealerships. You have the option to begin registration paperwork before you even get to the lot, and you can start the bidding process almost immediately. Those who don't want to waste any time can select the "buy now" option. If you're buying a used car at an auto auction, you know the lot has checked the vehicle over and given the machine its stamp of approval. Additionally, easy access to a vehicle history report allows you to scope out the car's past and evaluate any damage or maintenance that it has been through. The auction may also have its own car care center, which you can keep in mind in case you need any work done in the future. Shopping around for a used car can be overwhelming for drivers – especially those who are desperate to stick to a budget. That's why it's helpful to keep a few tips and tricks in mind as you browse for vehicles. However, even that can be a problem, as there's a lot of information floating around. You can navigate these waters by keeping some key ideas in mind. Carlypso, a new technology-based company focusing on car sales, recently released a study detailing some of the current trends in the auto industry. One of the biggest pieces of advice the organization had was to act quickly when you come across a good deal. If you can find a vehicle that's being offered below market value, you should pounce on it. According to the report, these cars usually sell within about 10 days of hitting the market, so there's no time to waste. The better the deal, the faster you need to move: For every 1 percent drop in price, the average speed of sale jumps by nearly 1.5 days, Carlypso reported. Maybe you have a car in mind, but the price isn't exactly what you want. You have a few options in this case. Carlypso recommended waiting it out. According to the organization, used cars often enter the market at a seller-friendly price. When that doesn't garner a lot of attention, the price may drop, with some sellers even decreasing the sticker price as many as three times. Of course, this may not be much of a problem when you use an auto auction. That allows you to name your own price and only bid what you think the car is worth – a move that has potential to save you big time. The most important thing to do is remain calm and think through each decision. Luckily, that's easy at New Jersey State Auto Auction. This lot offers hundreds of Carfax-certified used cars, trucks and vans, with the majority of these vehicles boasting low prices. It even has an in-house financing department ready to help drivers figure out how they will afford a used car and secure credit approval. Best of all, the finance team knows how to do all of this quickly, allowing you to jump on any deals you find. With 2014 in the rearview mirror, it's time to look ahead to what 2015 has in store. This is especially true for the automotive industry, which had a stellar year for sales. Drivers were able to reap many of the benefits of these strong 12 months, as many dealerships offered low costs lower costs, special incentives and high quality – perks that are normally reserved for people who are willing to fork over a ton of cash for new models. Now, however, motorists can tap into the many advantages provided by some of the most popular used cars on the market. But first, they have to figure out which used cars are the most sought-after. AutoTrader analyzed data to determine which models garnered the most attention throughout 2014. According to the results, the most popular used vehicle of the year was the Ford F-150. That's not surprising, as the pickup truck has reigned supreme as the most popular purchase in the U.S. for several years. What may come as a shock is the number of large trucks and SUVs that ranked highly among used car buyers. Just behind the Ford F-150 were the Jeep Wrangler and Chevrolet Silverado 1500, and even the Ford F-250 managed to snag a spot in the top five. Also demanding plenty of attention was the Ram 1500 pickup, the Jeep Grand Cherokee and the Toyota Tacoma. "Lower gas prices and many new or refreshed entries also helped boost new truck popularity, particularly in the back half of the year," said Michelle Krebs, an AutoTrader.com senior analyst. While those vehicles may have been popular in 2014, there's no telling what trends could take root in the upcoming year. Regardless of what happens to the auto industry or the economy, however, drivers can find just what they're looking for at New Jersey State Auto Auction. This lot has hundreds of Carfax-certified used cars, trucks and vans available for sale. Even if you're not the type of driver who wants to be behind the wheel of a large SUV or pickup truck, you can find exactly what you're looking for at a competitive price. Your needs may vary depending on your situation and the market, but no matter what, you can be sure you're getting a good deal at NJ State Auto Auction. 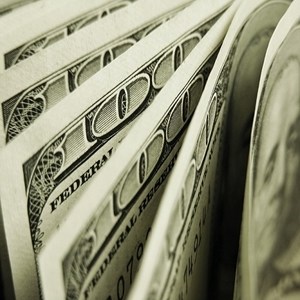 Did your family members give you some cold hard cash for the holidays? For many, money is the go-to gift during the festive season, as it allows the recipient to spend it on something that truly matters to them. No matter how large or small the amount, money can help you get exactly what you want during the holidays – even if the thing you want the most is a car. If you've got a nice little stack of cash left over from the holidays, it could make the perfect down payment – or at least part of one – for a used car. Even a little bit of holiday money added to your savings can reduce the amount you owe later and lower your monthly payments. If you're more concerned about making those payments on time, allocate these extra funds for later bills, whether they be for insurance premiums, loan repayment or general car maintenance. Once you've got the down payment squared away, it's time to figure out how you're going to pay for the rest of the car. 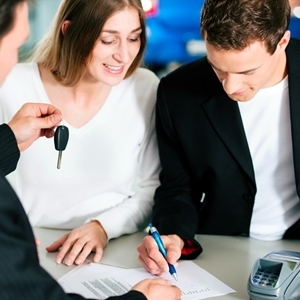 Most people turn to auto loans for help. However, some prospective drivers may think their credit score is too low or their history too unseemly to secure a loan. That's not the case at NJ State Auto, as anyone who stops by the in-house financing department will find that they're quickly and easily approved for credit. Before you can get behind the wheel of the right used car, you have to find a dealership that can help you get what you want. Few places are better at this than New Jersey State Auto Auction. Not only does the lot have hundreds of Carfax-certified used cars, trucks and vans, but it also has a few options that allow drivers to go about the buying process in whatever way works best for them. For instance, you can bid on used cars as part of the auto auction, or you can choose to buy a model outright and drive it off the lot on the same day. It all depends on what is right for you and your bank account. What Cars Are Good For Teens? Choosing the right car for a new driver is tricky. On one hand, you want to make sure they have all the features they need to stay safe on the roads, but you also don't want to have them be easily distracted by technology and infotainment systems. Then there's the price factor – insurance rates are already higher for these young motorists, and no one wants to fork over a ton of cash when teens are just getting started in the world of driving. The British Medical Journal conducted a study on teen drivers on U.S. roads, focusing on the circumstances of dangerous crashes. Published online in the journal Injury Prevention, the results of the report showed that larger cars tend to be safer for teens. Pickup trucks and large SUVs were involved in fewer fatal crashes than their smaller counterparts. Similarly, cars with updated safety features were also more secure for young drivers. Amenities such as electronic stability control, rear-view cameras and side airbags were all found to be extremely advantageous in reducing the risk or severity of a crash. These features aren't limited to brand new cars, either. In fact, buyers can find some lightly used cars with these tools. "Larger, heavier vehicles generally provide much better crash protection than smaller, lighter ones," the researchers wrote. "Newer vehicles generally are also more likely to have better crash test ratings and important safety features such as ESC and side airbags. Parents may benefit from consumer information about vehicle choices that are both safe and economical." Buying a car with top-notch safety features doesn't have to be a huge blow to your bank account. At New Jersey State Auto Auction, for example, shoppers can browse hundreds of Carfax-certified used cars – most of which can be bid on and had for affordable prices. Of course, it's also important to teach teens the rules of the road – and the limitations of their car – so they can avoid accidents altogether. Provide new drivers with plenty of time to get used to their ride and its features. Once they know how to work different aspects of the car, these tools are less likely to cause distractions or problems on the roads. Posted in General Auto News | Comments Off on What Cars Are Good For Teens? The next few weeks will be filled with holiday parties, New Year's bashes and plenty of revelry. In a perfect world, these gatherings would take place nearby – or perhaps even in your own home – but in reality, you've probably got to travel for at least one of these parties. When you're on the roads in these upcoming weeks, keep a few simple driving tips in mind to stay safe and secure. One of the easiest ways to stay safe on the roads is to be nice to others. Aggressive or hotheaded drivers can cause serious problems. Rather than put yourself in the bullseye, practice defensive driving and share the holiday spirit with others. 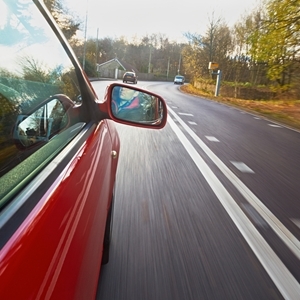 Let drivers merge ahead of you, don't cut in front of cars and be conscious of blind spots you may be encroaching on. This will help you steer clear of potentially dangerous motorists. There are many types of drivers on the roads during the holidays, so make sure you are visible to all of them. 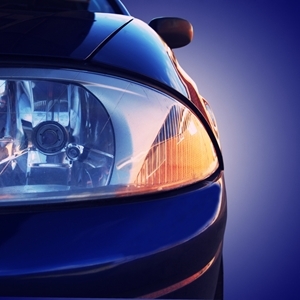 Use your headlights often, even if you don't think it's that dark or difficult to see. 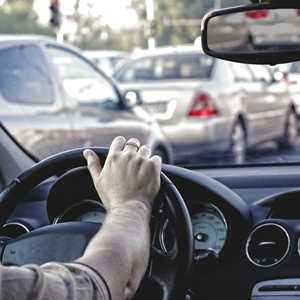 Fellow drivers could have worse vision, more distractions or numerous other obstructions, and by following this tip, you can make it easier for these motorists to identify your car. Never underestimate the power a tune-up can have on your car's status. 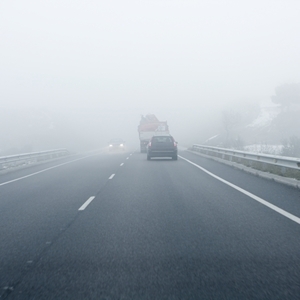 Instead of blindly pulling out onto the roads, head to the Total Car Care Center at NJ State Auto. There, a professional can scope out your car and make sure it's ready to safely navigate the roads. This garage caters to the public and can address any issues you may have. Even if your car has been cleared by an expert, there's still a chance you could get hung up by weather or incidents with other drivers. It's important to be in a position to calmly and quickly react to these situations. AAA recommended drivers have emergency contact information on hand and easily accessible. Good phone numbers to have include some kind of roadside assistance and friend or family member who can provide a lift if necessary. Additionally, drivers should have an adaptable cellphone charger ready to go in their vehicles. In the event of an accident, a dead phone isn't much use, so make sure you're ready to communicate at all times. By now, you've already heard a ton of information about who is traveling this holiday season. You've probably thought of the millions of extra drivers on the roads and shrugged it off, thinking that it's not much of a problem in your neck of the woods. But that's where you could be wrong. New Jersey and the surrounding states could be right in the middle of some heavy holiday travel. AAA Mid-Atlantic projected that a lot of travelers will be coming from New Jersey. According to the organization's data, about 2.4 million residents are expected to get behind the wheel and drive 50 miles or more for the holidays. If that estimation is accurate, it would be a 4.4 percent increase over 2013. The holiday travel season runs from Tuesday, Dec. 23, to Sunday, Jan. 4, encompassing the nearly two-week span around Christmas and New Year's. That's good news for travelers, as it means they have plenty of chances to find off-peak or less congested times to drive. "It's going to be crowded," Tracy Noble, the spokeswoman for AAA Mid-Atlantic, told NJ.com. "But we need to keep in mind that this year's holiday travel season lasts 13 days, so it's going to be spread out." Not only are a lot of NJ locals getting ready for road trips, but the state is also prepping for many motorists to come through. Because of its location and low gas prices, it's an attractive stop for many out-of-towners. This will add to congestion on the roads, but it shouldn't be a negative unless you wind up stuck behind a slow-moving stranger who doesn't know where they're going. "We will see more people coming through our state because New Jersey is a corridor state," Nobel told NJ.com. "And they will be filing up at our gas stations." No matter where you're going, you can protect yourself by being smart about your choices. Start by getting a tune-up to make sure every part of the car is capable of working smoothly throughout a trip. If you think even that maintenance won't help your existing vehicle get up to snuff, consider shopping for used cars and speeding up the buying process with a trip to NJ State Auto Auction. This lot has hundreds of Carfax-certified used cars – many of which are available to buy the same day. An in-house financing team is on hand to help sort out credit and loan issues, allowing you to get in a car and on the road quickly. With so many people ready to get behind the wheel for road trips this winter, it's only natural that there may be some hiccups along the way. However, some of the obstacles drivers encounter are likely avoidable – they just chose not to take the proactive measures to protect themselves. There are some motorists who are doing their best to avoid becoming a cautionary tale on the roads. The Rubber Manufacturers Association recently conducted a survey to see what these drivers are taking care of before long trips. According to the study, the majority of people – about 54 percent – check their tire pressure prior to leaving on a road trip. This helps avoid lost fuel efficiency or subpar driving performance. About one-fourth also conducted a quick tread check to make sure their tire grip was adequate. "We're encouraged that more than half of holiday road trippers are taking steps to be tire smart and check tire pressure," said Dan Zielinski, RMA senior vice president of public affairs. "But all motorists should be checking tire pressure before every long trip. Fully loaded vehicles packed with people, luggage and holiday gifts that ride on under-inflated tires present a safety issue." A few other maintenance actions were common as well. About 51 percent of motorists sprung for an oil change before road trips, and another 41 percent had the brakes checked. However, 15 percent had nothing done, and that puts them and their cars at risk. The RMA had a few other recommendations that drivers should take note of, specifically with regard to tire care. For instance, the organization suggested drivers take out the owner's manual to see what the optimal tire pressure is. That way, they'll have a baseline to compare readings to when measuring before long trips. Motorists should also pay attention to the temperature – if there are any wild weather swings or big plunges, it could be smart to give the tires an extra examination. If you're not sure what needs to be done on your ride, don't be afraid to seek some help from the professionals. The Total Car Care Center at NJ State Auto Auction, for instance, caters to the public and can address any issues you may have. Just one appointment could save you a lot of time and money by avoiding costly repairs in the middle of your trip. Who Is Traveling This Holiday Season? Are you heading somewhere other than your own home for the holidays? There's a good chance you are – at least according to the latest figures from AAA. The organization recently released a report detailing the end-of-year travel forecast. AAA estimated that 98.6 million Americans are going away from home for the holidays. These travelers aren't going down the street either, as this figure represents those who are journeying more than 50 miles away from home. Additionally, about 91 percent of these people will be driving to their destinations, translating to almost 90 million people on the roads from Dec. 23 to Jan. 4, according to the report. The organization noted that the travel volume will be the highest since 2001, when AAA began recording the data. Much of that is due to low gas prices, relatively affordable used car rates and the rebounding economy. "'Tis the season for holiday travel, and this year more Americans will join with friends and family to celebrate the holidays and ring in the New Year than ever before," said Marshall Doney, AAA president and chief operating officer. "While the economy continues to improve at an uneven pace, it seems more Americans are looking forward with increasing consumer confidence, rather than looking back at the recession. This is helping to drive expected travel volumes to the highest level we have seen for the year-end holidays." There are many reasons why you may find your road trip sidetracked. Among the most common is car breakdowns – and those incidents will impact a fair number of drivers this winter. AAA estimated that it will have to aid more than 1.1 million drivers during the holiday season. Although some of these motorists will run into unavoidable circumstances, others may have breakdowns that could have been prevented. Before you head out on the highway, schedule an appointment with NJ State Auto Auction's Total Car Care Center. This garage caters to the public and is capable of addressing any issues you may have, even if it's just some simple preventative maintenance. The experts can make sure you have peace of mind – and a capable vehicle – before your journey begins. Posted in General Auto News | Comments Off on Who Is Traveling This Holiday Season? Once you take the leap and decide to buy a used car of your own, you're going to want to take care of it. It's important to take the right steps at all times of the year, but it can be especially imperative to conduct maintenance in winter. As the end of the calendar year approaches, make sure you are doing all you can to protect your car from common dangers. 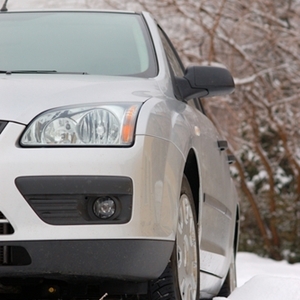 The first thing you have to do is get your car prepped for extreme weather. Instead of just winging it this winter, take a few precautions. Start by having a stocked emergency kit and spare tire ready to go in case of emergency. You should also have the vehicle washed and waxed. The right wax can act as a sealant, keeping harmful moisture and debris away from your car's paint and body. Even if you have this barrier, you should invest in regular washes. Road salt can easily get on the body of your ride and speed up the rusting process. Washing the layers of grime away will remove the particles before they do any damage. Unfortunately, there are some unsavory people out there who may want to get their hands on your ride. To prevent these criminals from making you a target, be sure you are taking advantage of a few practices that can deter car thieves. 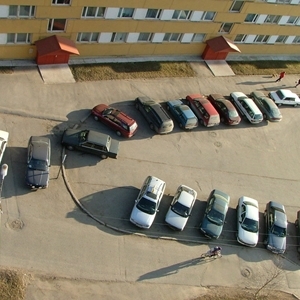 Start by always parking in well-lit areas. 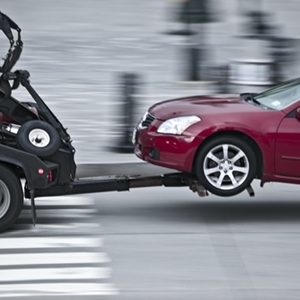 Avoid pulling your car in next to dumpsters, greenery or large trucks as well, as these can obstruct your view of the vehicle and provide cover for criminals. It's also a good idea to hide any valuables, whether they're navigation devices, recent purchases or holiday gifts, so you don't unwittingly make yourself a target. Your own actions play a major role in how your car performs and ages. Instead of leaving the fate of your ride up to chance, schedule an appointment at NJ State Auto's Total Car Care Center. The experts there can address any issues you may have and make sure your car is running at an optimum level. If you ignore the necessary maintenance, however, you could be putting your vehicle at serious risk for costly problems in the near future. 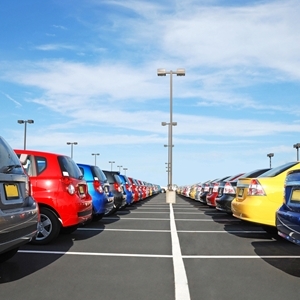 One of the most common knocks against used cars is that they don't hold value in the long run. The thought is that even if you buy a high-quality vehicle, its value depreciates so quickly that within a few years it won't be worth much at all. However, this isn't entirely true. A new report from the NADA Used Car Guide showed that the value of used cars is staying high. According to the organization's latest study, pre-owned vehicles currently on the market retained much of their value throughout the past month. Not to mention, the NADA Used Car Guide predicted that sticker prices will continue to drop in December, providing some chances to save. "Usually wholesale auction volume decreases during this time of year – and it did, again. This time, however, it fell even a bit more than normal." said Jonathan Banks, an executive analyst for the NADA Used Car Guide. "If there are less used vehicles in the marketplace, then competition increases, and values hold a little better as a result." If this trend continues, it could mean good things for drivers – if they're smart about their purchases, that is. Trade-in values would be higher, allowing motorists to put more money toward a car upgrade. Those funds can go toward a down payment on a used car, which in turn leads to lower loans and monthly payments. Some drivers may be worried that more competition results in bigger price tags for used cars, but that doesn't have to be the case. When people take advantage of auto auctions and bidding, for instance, they have an opportunity to get a quality car at a great price. They can also negotiate loans and find a repayment plan that allows them to keep expenses in check. If you're searching for used cars that will offer you plenty of value, look no further than NJ State Auto Auction. This lot has hundreds of Carfax-certified used cars, trucks and vans, and many of these options have desirable features and low prices. So even if the average cost of used vehicles goes up, you can do your best to keep expenses down and capitalize on low monthly loan payments. Daydreaming about a new car? Then you might need a harsh dose of reality. Not only are new models expensive, but the features they come with may not be worth the investment – or the ensuing years of loan payments and debt. A report from AAA, conducted with the Automobile Club of Southern California, noted that many crash-prevention technologies still have problems that take away from their effectiveness. The study found that blind-spot monitoring systems, for instance, often struggled to identify motorcycles. The technology also failed to work correctly at high speeds or on highways, giving the driver little notice of road dangers. Similarly, there were issues with lane-departure warnings, which are supposed to let drivers know about nearby cars coming into their lane. Subpar road conditions – such as faded lane lines, construction zones or confusing intersections – interfere with the system. As problems arise with these technologies, many car owners get fed up and choose to ignore the alerts altogether. "Some blind-spot monitoring systems we tested had a short detection range, which meant that a vehicle was already in the blind spot before the alert came on," said Megan McKernan, the manager of automotive engineering at the Automobile Club of Southern California. "The lane-departure warning system on several vehicles experienced false-positive and miss-detections, which resulted in an inconsistent driver warning. This can be annoying and could result in the driver disabling the system due to the false alerts." Instead of throwing away money on a new car that doesn't live up to your expectations, find a used car that does. New Jersey Auto Auction is home to hundreds of Carfax-certified used cars, trucks and vans, and one of these options could be your next ride. With so many high-quality vehicles at low prices, it's easy to find a model to meet your needs. Many even have some of the features you want – without the high price tag or surprise glitches. Not all new car features are bad, but many of the best amenities can be found in used vehicles. Cars that are only a few years old often have the must-have features you want in a ride, so be sure to do your research and find the best fit. Unless you plan on being a Scrooge this year, you've probably got something planned for the holidays. And if you're like millions of other Americans, there's a good chance you're driving to get to those festivities. With a lot of traffic on the horizon, one company set out to discover some details about who will be on the roads. DMEautomotive recently surveyed drivers to find just how many are getting behind the wheel this holiday season. According to its report, more than one-third of people have already decided to drive to their destination, and another 16 percent haven't made the final decision but could be driving. Of those who have chosen to use a car as their mode of transportation, nearly 80 percent will be using their own vehicles, while others will be renting. Additionally, about half of the expected drivers are going to rack up more than 400 miles round trip. About 1 in 6 will be taking on journeys of 1,000 miles or more. If there's one thing drivers stressed in their responses, it's that they were taking the winter weather seriously. The overwhelming majority reported that they would be investing in some type of tune-up before traveling. Some of the most important tasks include measuring tire pressure, cleaning out a car to create more space and double-checking the necessary fluids. The survey also showed that many people are using holiday travels as a reminder to get some routine maintenance done, such as getting an oil change, rotating tires or examining the spare tire. "We are pleased to see that consumers are taking care to ensure their vehicles are ready to hit the road," said Mary Sheridan, Ph.D., of DMEautomotive. "Auto service centers should take note: 90 percent of these travelers plan some pre-trip vehicle prep, including oil changes, fluid and tire checks, and, for more than one-third of those driving over 600 miles, a full vehicle inspection." Fortunately, New Jersey State Auto Auction can help with many of your holiday needs. The Total Car Care Center, for instance, is ideal for getting a tune-up before the festivities begin. Our experts can address any issues your car may have, giving you the peace of mind you need to complete your journey. Are you considering buying a used car? If so, then there's a good chance your head is spinning thinking about all of the options at your fingertips. There is good news, however: All you have to do is take a deep breath and focus on a few key areas when you're browsing. The next time you shop around for used cars, keep an eye out for these five qualities that may impact your decision. 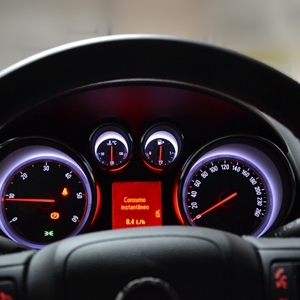 Mileage is one of the first things people look at in a potential ride, and with good reason. It provides insight into the wear and tear a vehicle has gone through, while also outlining expected longevity and maintenance. 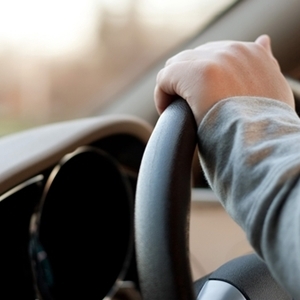 How a car drives is also an important aspect you must consider. If the vehicle doesn't drive in a way you like, then it's probably not a good investment. In addition to taking a test drive of the individual vehicle you're looking at, research a few reviews of the model from professionals and owners. That will give you an idea of any recurring issues. You don't realize how important a car's safety features are until you need them. That's why it's essential to scope out the features present in a used car. Crash test ratings can provide a look at how it'll perform in an emergency, but you should also check out any crash-prevention features to make sure they're still functioning. The sticker price on a used car probably gets most of your attention, but if you're under a tight budget, there are more expenses you need to consider. Take a look at the cost to fill the gas tank, complete routine maintenance tasks and acquire replacement parts. You can't judge a book by its cover, and the same can be said of used cars. However, that doesn't mean you should ignore the exterior of a vehicle entirely. Look for rust spots, which may indicate decay, or random dents and scratches. These should match up with any incidents on the vehicle history report so you know they've been cared for. You can check out cars with these qualities – and much more – at NJ State Auto Auction. With hundreds of used cars available on the lot, this facility is the place to be if you're ready to buy on a budget. When you finally decide to upgrade your ride, you've got a lot of tough choices to make. On the surface, these decisions may seem much more difficult than they are, as used cars offer quality and value that are hard to beat. Once you take a good, long look at some used vehicles, you may find that they have everything you want and more – in addition to providing some financial relief. Here are three reasons why buying a used car is better than buying new. One of the biggest reasons used cars can be better than new ones is because they're known commodities. Brand new models frequently have glitches or other issues that aren't discovered until they hit the road. If you want to avoid recalls, time-consuming repairs and dangerous situations, select a used car that has a reputation for reliability and success. That way, you can rest assured that the car is ready and able to perform on the roads. If someone were to argue the case for a new car, they may claim that it runs better and more smoothly than its used counterpart. However, people who take care of their older vehicles with the proper preventative maintenance don't have much to worry about. Regular tune-ups, oil changes and washes keeps cars looking and performing like new. If you can find a model that's been cared for by previous owners – something that's relatively easy to check with a vehicle history report and examination – you could get that new car experience without the price. Buying a new car can leave you strapped for cash. Not only is the sticker price high, you've also got to fork over more for insurance premiums and pay back bigger loans. 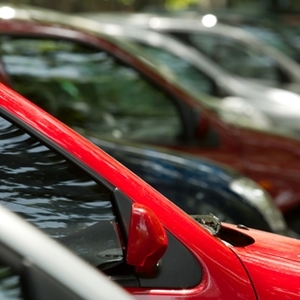 With used vehicles, however, you can save money without sacrificing the features you want. At New Jersey State Auto Auction, you can browse through hundreds of Carfax-certified used cars, trucks and vans to find the one that's right for you. Many of these vehicles are a great value, as they're high quality options at affordable prices. If you want to get the most bang for your buck, take a look at some of these used cars for sale. By now, you've probably heard some rumblings about the opportunities at New Jersey State Auto Auction. Our lot has hundreds of Carfax-certified used cars for you to browse through, in addition to special perks like the financing department and the Total Car Care Center. But still, many people are unsure of how our processes work, and we want to clear up some of the confusion. Just like the name implies, New Jersey State Auto Auction offers a chance for customers to bid on the car they want. This gives them the opportunity to get a high-quality vehicle for a low price, as they only have to bid what they think the car is worth. Competition may raise the prices, but the setup gives drivers a chance to capitalize on great deals. The process may take a while, as people have to register to bid and close out sales, but the potential payoff makes it worthwhile. Are you considering checking out the selection at NJ State Auto? If so, then keep in mind these three tips. Auto auctions may seem overwhelming, but they don't have to be. It's easy for you to conduct some preliminary research on your own to narrow down your car search. Check out the details about the exact car you'll be bidding on and browse through our selection from the comfort of your own home. You can even register to bid on cars, which gets the process started by completing some paperwork. Many people aren't aware that they have options when it comes to paying for the vehicle – at least to start. While our in-house finance team can finalize loans and credit approvals, you'll need to have a way to transfer money for the bidding process. Many customers use PayPal, as this service provides an easy and secure way to make payments to a wide variety of businesses. However, we also accept all major credit cards, so you don't have to sign up for anything you don't want to. Of course, we do have another option for drivers. If you don't want to wait any longer to get behind the wheel of a car, you can select "Buy It Now." This allows you to pay for your choice and secure ownership in a very short amount of time – we even offer same day pickup. You'll drive off the lot with the bill of sale, title, temporary license plates and even financing or a warranty in place. Posted in Auto Industry News | Comments Off on What Is An Auto Auction? That new car smell may be appealing, but it's going to cost you. Vehicles fresh off the production line frequently come equipped with impressive features and sleek aesthetics, but the investment isn't always all it's cracked up to be. According to recent data, the average cost of new vehicles went up in the month of November. Kelley Blue Book found that prices increased 1.7 percent from the same time in 2013. In fact, they've even grown since October of this year, with the average cost jumping $568, or 0.5 percent. At the same time, incentives have gone down, limiting the opportunities buyers have to save. Cars.com reported that incentive spending decreased 1.5 percent from October to November, marking the third straight month that these savings have shrunk. "Rising transaction prices are a reflection of stronger pricing in truck and utility segments," said Alec Gutierrez, senior analyst for Kelley Blue Book. "Domestic automakers will be the main beneficiaries of this trend, as full-size pickup prices are up by an average of 4.3 percent, with the Big Three [Ford, General Motors and Chrysler] making up 94 percent of segment sales." Although the cost of new cars continues to rise, there is some good news for drivers: They can find used cars that offer plenty of savings without a huge drop in quality. 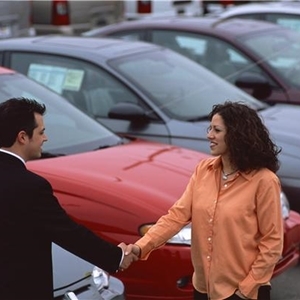 USA Today reported that more people looked to used cars in November in the hopes of finding some good investments. As a result, some expenses are going up, but not nearly enough to rival new models. Many drivers are finding that used cars boast a ton of perks. In addition to being less of a strain on the wallet than their counterparts, these vehicles offer many similar safety features and tech capabilities. When taken care of correctly and treated with the proper maintenance, used cars present a worthy choice for motorists. Anyone looking for a great deal on used cars should head over to NJ State Auto Auction. This lot is home to hundreds of Carfax-certified cars, trucks and vans, allowing drivers to select the perfect fit for their needs. It even has an in-house financing team whose mission is to secure loans and get you behind the wheel quickly. When you're searching for a used car, you've got a lot to consider. Chief among your concerns will be how the vehicle fits in your budget – meaning you must think about insurance premiums, monthly payments, fuel efficiency and repair costs. To help drivers get through this tough battle, CarMD recently released its 2014 Vehicle Health Index. The index is designed to identify the car models with the fewest "check engine"-related repairs, as well as the vehicles that are associated with the lowest repair costs. It looks at more than 40,000 maintenance issues from vehicles dating back to the 2004 model year, all of which occurred from Oct. 1, 2013 to Sept. 30, 2014. According to the data, the top manufacturer for few repairs is Honda, which barely beat out Hyundai for the No. 1 spot. They were followed by Toyota, General Motors and Ford. 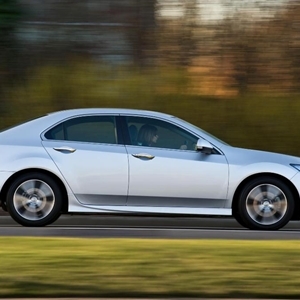 As far as individual vehicles go, the 2012 Toyota Camry rated as the best. This is the second consecutive year this model emerged as the winner, leading the way for five Toyota cars to land in the top 10. As far as cost goes, drivers would be smart to look at Mazda. The brand had the lowest average repair expenses, with $302.92 being the typical price. Taking a look at some of the most reliable makes and models could give you an idea for your next purchase. 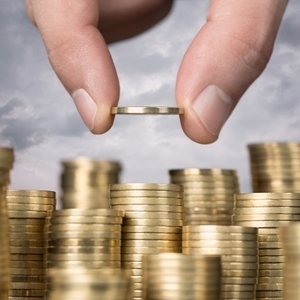 Drivers who want to keep costs down would be well-served to take a look at the rankings. Vehicles that tend to be more reliable or have lower average costs could help motorists save time and money. "While this index is based on in-use vehicle repairs needed over the past year, it has also proven to be a useful tool in helping car and truck shoppers make informed decisions about the vehicles they are considering," said Doug Sobieski, chief marketing officer of CarMD. If you're searching for a reliable used car, look no further than NJ State Auto Auction. This lot is home to hundreds of Carfax-certified used cars, trucks and vans. One of these vehicles could be your next ride – thanks in large part to the in-house experts who help drivers with everything from auto financing and loans to car repairs.